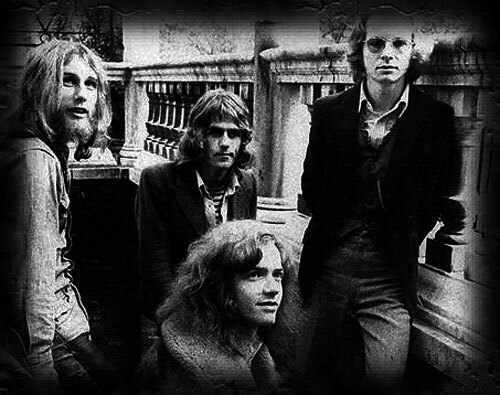 Wishbone Ash are considered to be one of the major innovators of the harmony twin lead guitar format. Formed in Devon, United Kingdom (in 1969) by Martin Turner (bass/vocals) the original Wishbone Ash line-up was completed by guitarists/vocalists Andy Powell and Ted Turner, and Steve Upton (drums and percussion). In 1974, Ted Turner left the band, and was replaced by Laurie Wisefield. The band continued on with strong critical and commercial success until 1980. After revolving line-ups featuring former members from King Crimson, Trapeze, and Uriah Heep, Laurie Wisefield quit in 1985. In 1987, however, the original line-up reunited for several albums - Nouveau Calls, Here to Hear, and Strange Affair - until 1990, when Steve Upton quit the band. After Martin Turner was replaced in 1991, the band recorded Live In Chicago, before Ted Turner quit in 1993. Since 1995, the band have continued with mixed critical and commercial success, changing members on several albums. 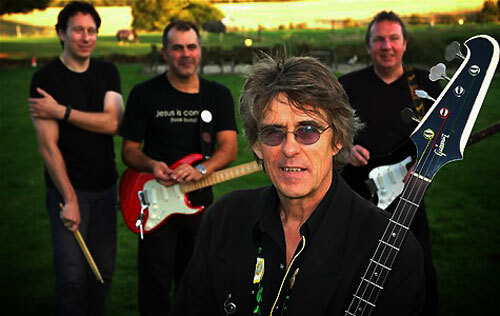 In 2004, Martin Turner formed his own version of Wishbone Ash, and tours frequently. 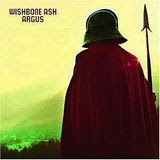 My first exposure to Wishbone Ash was in 1972 when I bought their outstanding Argus album (which features many of the songs included in this post). 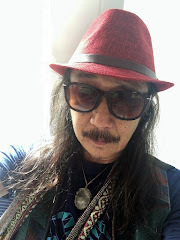 I was immediately drawn to their clean, precise, beautifully constructed guitar harmonies, conjuring long-buried memories of ancient battlefields and bravery - while evoking an uplifting sense of soulful lyricism and spiritual warriorship. The cover of the Argus album showed a helmeted sentinel standing atop a misty hill, clutching a spear and gazing at the sky. At first sight it was like a scene right out of 9th century Britain - but a closer look reveals a flying saucer approaching from a distance. This unexpected blend of Sword and Saucery proved to be a heady concoction and Wishbone Ash became an immensely popular touring band, especially in the US. Commercial success brought along its own problems and Wishbone Ash suffered numerous changes of personnel, with a couple of original members walking out. In 1998 lead guitarist Andy Powell formally registered "Wishbone Ash" as a trademark, effectively assuming leadership and management of the band. Prior to that, founding member Martin Turner had favored a more democratic approach to business whereby everyone had an equal share of the royalties. With Andy Powell in charge, the others in the band became hired sessionists. In 2004 Martin Turner decided to form a splinter group called Martin Turner's Wishbone Ash and performed a series of concerts which yielded a few live albums, as well as a new version of the 1972 Argus album. Despite personality differences and frequent lineup changes Wishbone Ash has somehow managed to keep going as a musical entity for more than 40 years. The latest album, Power of Eternity, was released in 2007. My fave from W.Ash is "The King will come"